In her 2016 World of Wearable Arts piece, Poutini’s Mother Lode, Fifi explored the legend of Pounamu and perfected a faux finish technique for the polished and the uncut rock. 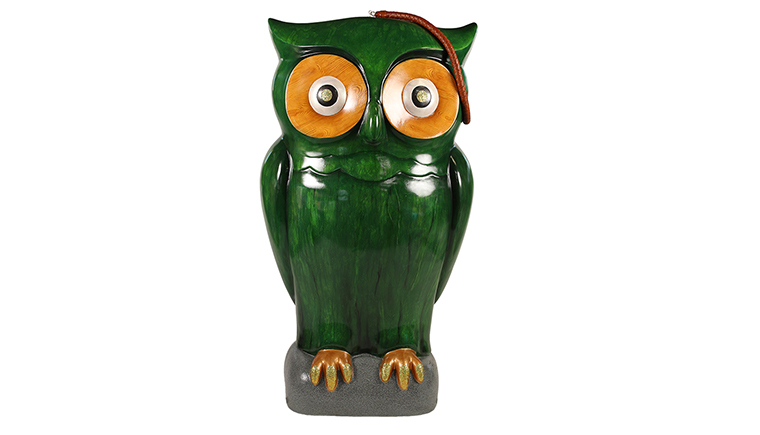 Kakotea, a particular shade of greenstone, applied to the owl, along with faux wood and shell finishes to the eyes with glittered claws and pupils and plaited leather rope creates an oversized souvenir. A modern trinket for the supersized age of the last remaining native owl.